Time Magazine comes out with a list of the 100 most influential people each year. Names like Justin Timberlake and Barack Obama made the grade in 2013. 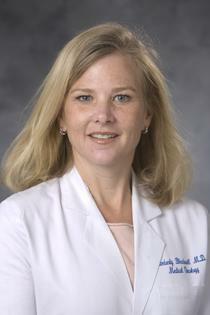 But also on the list was Duke oncologist Dr. Kimberly Blackwell. She was celebrated for her achievements improving chemotherapy treatments for a certain kind of breast cancer. "It is clearly a representation of not just famous people," she said of the list, adding later, "I think that I as an individual was picked because I represent the progress that the cancer research community has made." Blackwell and others were able to create an antibody that they can use to target cancer directly without attacking the rest of the human being. "I along with teams of hundreds of people...worked with this idea of binding the chemotherapy to the antibody, and thus sparing the body." Blackwell says she was honored by Time Magazine's designation, but wondered whether she truly deserved to be on the list. Host Frank Stasio talked to Dr. Kimberly Blackwell about being one of the most influential people for 2013.